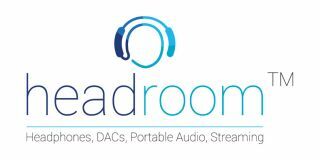 Wednesday Wrap: Quad, KEF and more confirmed for Headroom Show | What Hi-Fi? From the news that Quad and KEF are just two of the manufacturers that'll be at the new Headroom Show this weekend to the launch of the BBC's Taster project, here's the news in brief from What Hi-Fi? 's Wednesday Wrap. And we start at London's Metropolis Studios – the venue for the inaugural Headroom Show and the place where you'll be able to see the latest products from Quad, KEF, Chord Electronics and a good few others besides. It takes place this weekend [30th and 31st January] and we've partnered with the show's organisers to give you the chance to win a Chord Electronics Hugo DAC and Sennheiser HD800 headphones – a prize worth £2400! MORE: Win a Chord Hugo DAC and Sennheiser HD800 headphones worth £2400! Do you want a chance to see how the BBC is working on the latest in digital content and emerging technologies? Well, the corporation has launched BBC Taster as a space in which it can showcase editorial and technology projects. The release of BBC Taster includes exclusive interactive, short-form and social content, as well as online features and services – plus more "left-field" ideas. Current highlights, for example, include a BBC iPlayer Shuffle feature. O2 plus Three equals... one single mobile operator, if talks between Hutchinson Whampoa Limited (HWL) and Telefonica result in agreement. It's been confirmed the pair have entered into exclusive negotiations with that end in mind. HWL is the current owner of Three and Telefonica is the owner of O2 UK, with both insisting that an acquisition is "likely to be a lengthy process" as the terms are thrashed out. But it may well reshape the UK mobile phone market. The latest edition of DVDFab MediaPlayer for Windows has been launched, with version 2.5.0.2 of the all-in-one media player said to contain improvements to playback support for DVD and Blu-ray discs – especially some new releases. There are two versions of the software – a free Windows player that supports DVD, Blu-ray, HEVC (H.265) and Ultra HD 4K playback. Meanwhile, the paid-for version costs $65 for two years and lets you use the player on two machines.